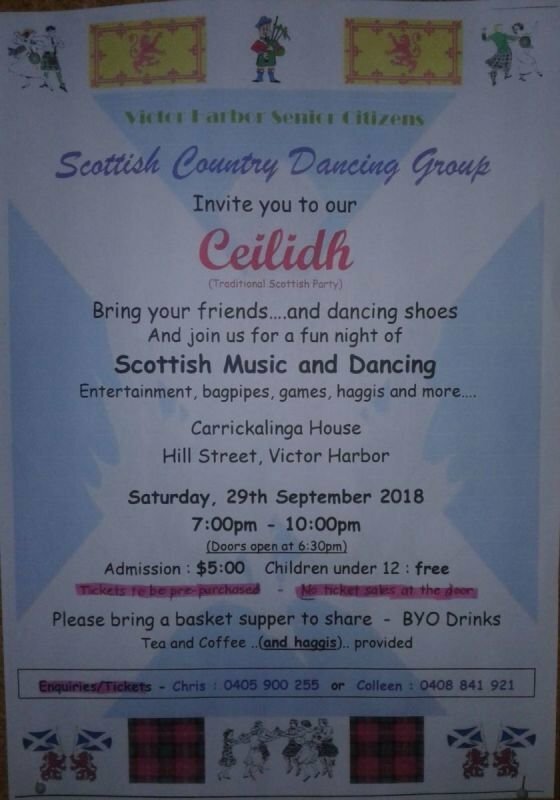 Victor Harbor Senior Citizens invite you to a Scottish Ceilidh Night. $5.00, under 12s free. Tickets must be PRE-PURCHASED through Chris on 0405 900 255 or Colleen 0408 841 921. BYO drinks and supper to share.